Engage your employees. Promote retirement readiness. Reduce your workload. Mitigate cost and risks. Work with a Pensionmark advisor to leverage success and deliver your employees the best possible retirement plan. Get your financial life in order now and save for the future. Get the most out of your savings plan. Use our cool tools. Learn more, your way. We make this stuff make sense. Improve client service. Scale. Save time. Keep your independence. Advisors who join the Pensionmark network plug into a power center of specialists, back office support and smart technology. 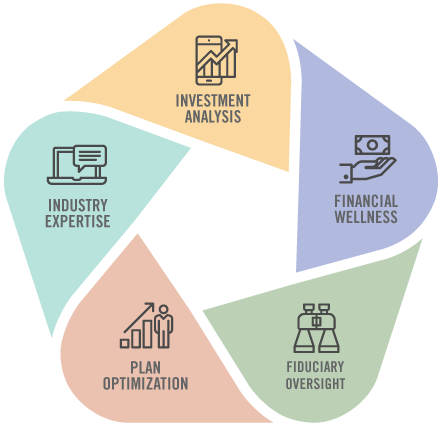 A COMPREHENSIVE INFRASTRUCTURE ALLOWING YOUR ADVISOR TO FOCUS ON ADVISING. And everyone benefits. Pensionmark’s unique service model aims for better outcomes with less effort for every stakeholder. Your advisor spends more time providing valuable services to you while leveraging smart technology and Pensionmark’s home office team of support specialists. We empower employees to take control of their financial future. You can focus on a healthier plan and reduced workload. Personal service from a leading independent advisor backed by the resources of a big firm. Are you looking for a local advisor providing a boutique experience, but also the strength and resources of a recognized national firm? With Pensionmark you get the best of both worlds, working with an experienced independent advisor backed by a network of support specialists. We engage employees to get financially healthy now and save for the future. No more ho hum irrelevant planning tools. Our Personal Financial Portal and Financial Wellness Center make finances easy, relevant and fun. Simply put, we make this stuff make sense. Our goal: help individuals stay financially healthy today and throughout their retirement. YOU HAVE AN ADVOCATE. INDIVIDUALS HAVE PERSONAL SUPPORT. ADVISORS SHARE WISDOM. NOBODY’S ALONE. 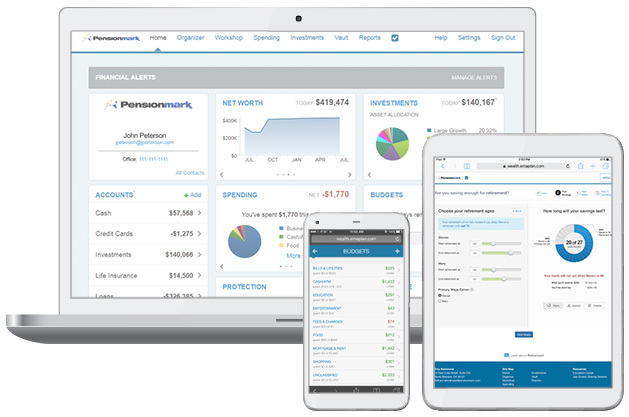 Pensionmark’s scale can give you leverage with providers and recordkeepers. We monitor, negotiate, and advocate. Our advisors learn from each other. Our education programs and smart tools may help people get ready for retirement, faster. Our support team answers their questions. Pensionmark’s team is your team.